Before they get to this stage a spanner is thrown into the works. This spanner is called Choma. One day Tracey is walking on the roadside when she is splashed by a random driver. The driver is apologetic but Tracey is angry and refuses to accept his apology or offer of a lift. The driver is persistent and follows Tracey to her destination, getting out of the car and apologising profusely until she is appeased and accepts his apology and business card. As you may have gathered already the driver is called Choma and from the day that he meets Tracey he begins to dream about her despite having a fiancée called Jenny. He even declares to his mother “I have found my wife” and dumps Jenny. Despite Tracey’s indifference to him he is persistent and actively pursues her. His mother is also on Tracey’s case to “marry my son.” She knows Tracey as she visits her shop often and knows her to be a “decent girl” worthy of marriage. However she does not know that the girl that she is encouraging him to meet is the same girl that he is already after. Will Choma ever win Tracey’s love? To her mother’s dismay Tracey soon is planning to marry Choma without even informing Namdi her childhood love. He hears reports from his friends about her infidelity but she denies cheating on him, while treating him coldly and oftentimes ignoring him. Before she marries Choma, Nnamdi is suddenly killed and named as an armed robber. Tracey is now free to marry Choma, but even in his death she behaves abominably refusing to even attend his funeral. In time Tracey and Nnamdi are married and all appears to be well, and they are happy, it is not until years have passed and Tracey is still childless that problems begin to occur. Her mother in law makes her life unbearable and she feels that she cannot stay within the marriage. After seeing Nnamdi Tracey is forgiven Nnamdi as well as his parents but is still not at peace. She returns to her marital home and is unsatisfied. She leaves her husband and goes back to Nnamdi’s house, places a knife to her heart and threatens to commit suicide unless he takes her back. Ebube acted this well and it is a gut wrenching, tear jerking performance of a woman driven mad by a love wronged and lost. She claims that she would rather die than live without “true love.” Nnamdi is hesitant but agrees to take her back as she is about to plunge the knife through her heart. It is a happy ending and the film ends with Nnamdi and Tracey getting married. Choma has forgiven them and turns up after the ceremony to present them with a jeep as a wedding gift to which he congregation give a rapturous applause. He then presents them his wedding invitation to his marriage with Jenny. I for one thought that was making it a bit toooooooooo happy… Okay one wronged lover takes their ex love back, but times TWO? Nah that doesn’t sound right!!!! Overall I really enjoyed watching the film. The storyline was captivating and held my attention and the ending was beautiful if not a little too idealistic. Ebube in particular did a marvellous job as Tracey. The story flowed well and the soundtrack was on point and fitted well. I agree I liked it too! I'm not sure I'll watch this movie. I liked the story until you said Tracey became insistent on having "true love." 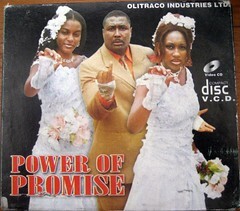 Sometimes the melodrama of Nollywood is entertaining. But this story?? It sounds too much. The whole knife scene doesn't play in my mind too well. Plus, I agree with you. The ending is too perfect for me to appreciate. It had its flaws but overall it was a good watch.